Experience the alluring scent of DKNY Nectar Love Eau de Parfum, an intoxicating fragrance powered by the gravity of attraction and love at first sight. Opening with an irresistible burst of citrus, the perfume combines notes of Mandarin, Grapefruit and Nectarine before succumbing to a wild, floral heart of Jasmine, Orange Flower and Mierabelle. Encapsulating the true essence of love, the fragrance settles on a romantic base built on accords of comforting Vanilla, Musk and Beeswax. Housed in a decadent, honey bee-embellished gold bottle. 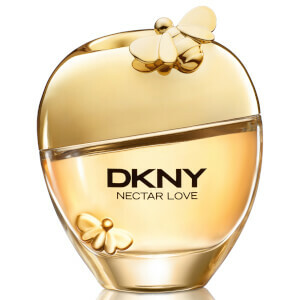 Top Notes: Yellow Freesia, Mandarin, Grapefruit, Nectarine, Solar Salicylates. Heart Notes: Jasmine, Muguet, Orange Flower, Mirabelle. Base Notes: Cedarwood, Vanilla, Musk, Beeswax, Neroli Co-distillate.